Ned Weatherly is our 1st Athlete to speak to us about making the 2015 IAAF World Youth Championships Team. Members of the team will compete in Colombia, from July 15th to 19th 2015. Through primary school I was always kind of ummmmm lumpy during primary school so naturally fitting the big kid does the shot put and with some luck I made it to the national champs for primary schools and have loved it ever since. Hahah well I got the text while doing an exam during school so I kind of had to stay quiet regardless I was over the moon about making he team. I had a body cleanse at the start of my prep so I could drop a few Kgs and move faster over 100kg I don’t move to well under 100kg I do really well speed and fitness wise that is the only real change I made to myself and training. What are you most looking forward to about the trip to Colombia? The Weather I’m sick of Melbournes crap weather. 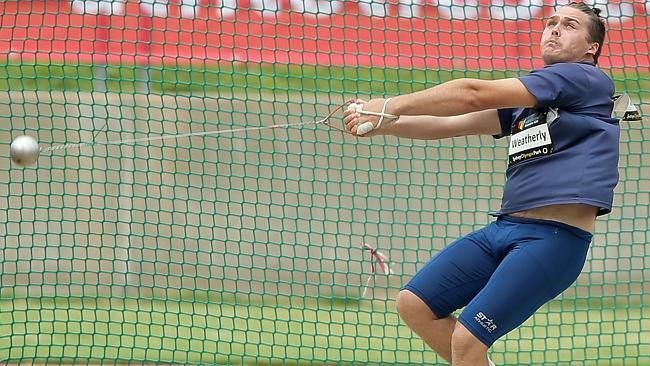 Marcel Lomnicky a hammer thrower from Slovakia he is my height and shows that a smaller guy can throw big distances in the hammer.